Do you eat only egg whites? Studies suggest that are missing on good nutrition if you are avoiding the yolk . If you are a fitness freak or someone who is conscious about cholesterol, excluding the yellow of the egg it is not a good idea. Lucas Coutinho, in a live session of Facebook, explained why you should eat a whole egg and why should not prevent egg yolk. He said most of the nutrients in the egg is in the yolk. He also said that an egg as a whole has all the nutrients such as manganese, magnesium, vitamin D3, protein, iron and amino acids. You can also read to find out if egg yolk is good or bad for you. If still adhere to eat the egg white as it is concerned about cholesterol problems, then abandon the myth. 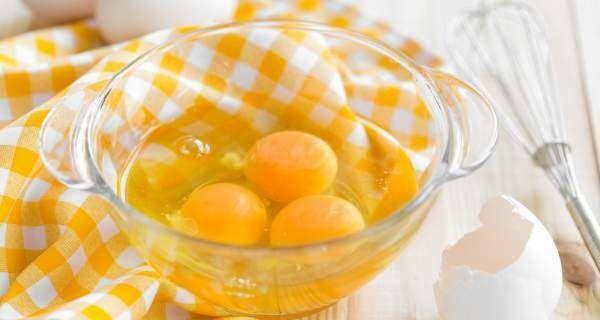 In fact, egg yolk helps the body absorb proteins of the egg. If you do not have large cholesterol problems, and then have an egg or two as a whole is absolutely fine and will not shoot up your cholesterol problem. The liver produces cholesterol and monitoring production so that there is always the required amount of cholesterol in the body. When we get cholesterol from other sources, liver automatically reduces its production. You can also read this distinction between good cholesterol, bad cholesterol and triglycerides . Studies suggest that the yolk has anti-inflammatory and analgesic properties. In addition, organic egg yolk prepared by direct heat is an alternative remedy for inflammatory joint conditions. Here are some other health benefits of eggs . 1. 1: Mahmoudi M, Ebrahimzadeh MA, Pourmorad M, N Rezaie, MA Mahmoudi. The anti-inflammatory and analgesic effects of egg yolk: a comparison between organic and machine-made. Eur Rev Med Pharmacol Sci. 2013 Feb; 17 (4): 472-6. PubMed PMID: 23467945.